2016 has ended and all we’re left with is memories – some good, others not so great. 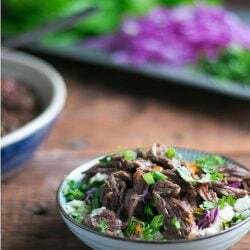 On a positive note, a wealth of delicious low carb recipes from some fantastic bloggers has hit the internet over the past year. Our cup runneth over for sure! 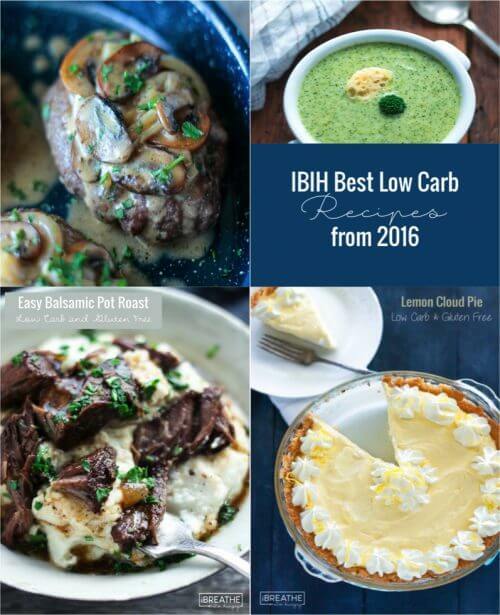 Here are some of your favorite low carb recipes from I Breathe I’m Hungry in 2016! I chose these based on your comments, Pinterest pins, and Google analytics. I have to say you guys were pretty on point – these are some of my favorites from the year as well! 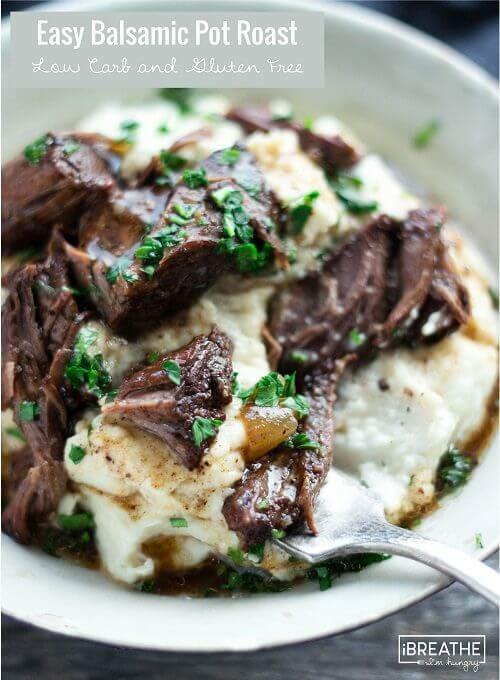 Made in the Instant Pot or slow cooker, this melt in your mouth pot roast is so easy to make – not to mention delicious served over my Better Than Potatoes Cauliflower Puree! 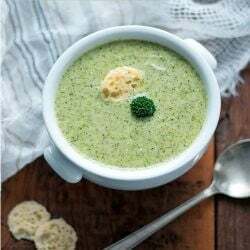 No stovetop required, this low carb soup is so easy to make that you can even cook it only in the microwave! Comes together in just minutes and is great reheated for lunches all week! 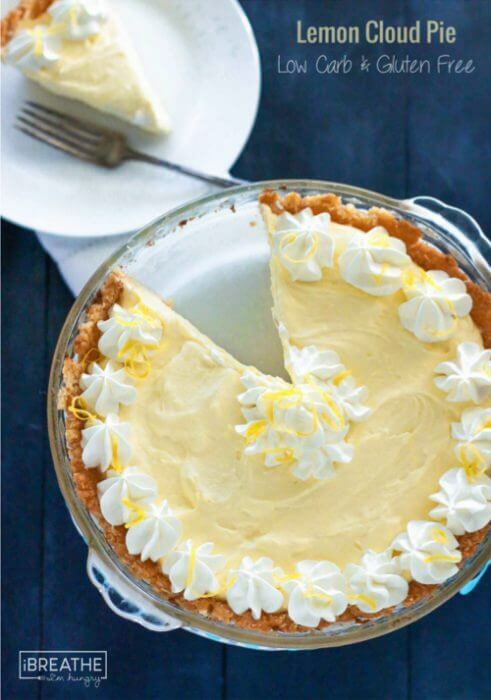 Intensely lemon flavored and super creamy, this refreshing low carb refrigerator pie has a toasty coconut cookie crust that makes it simply divine! 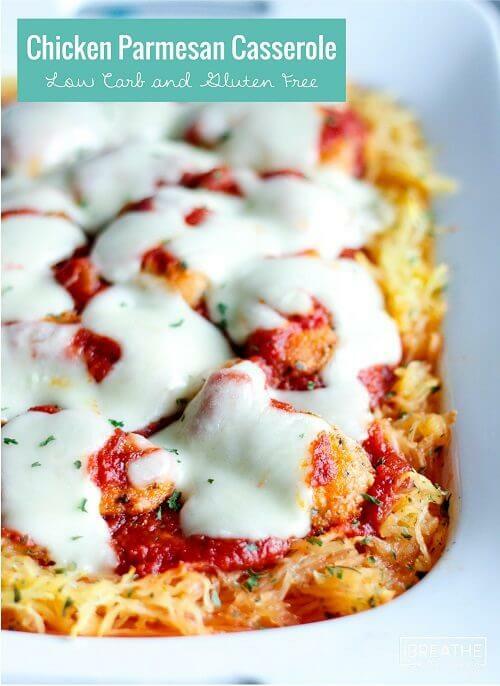 Crispy chunks of chicken nestled into ribbons of spaghetti squash and bathed with tasty marinara sauce and lots of mozzarella cheese! What’s not to love? The whole family will go nuts for this one! 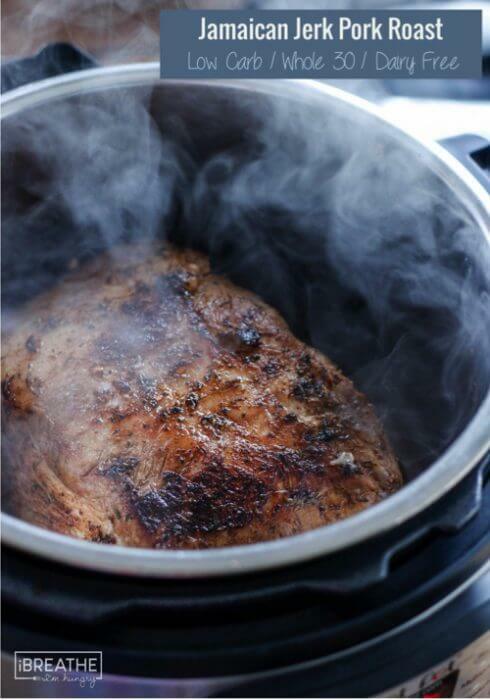 You guys really loved this easy and delicious Jamaican Jerk Pot Roast! 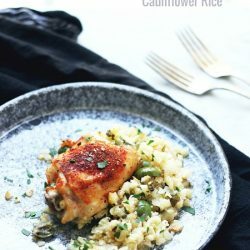 It can be made in your Instant Pot, Dutch oven or slow cooker! It’s also Paleo, Whole 30, Low Carb, Keto, Atkins, and THM if you’re starting a new program in January. 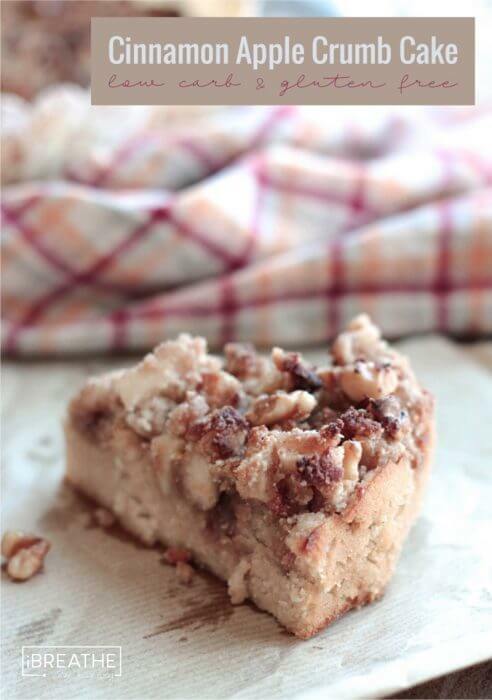 This low carb coffee or crumb cake is wonderfully comforting and has the perfect amount of sweetness for breakfast or brunch. It makes a great dessert too – especially with a scoop of low carb vanilla ice cream on top! 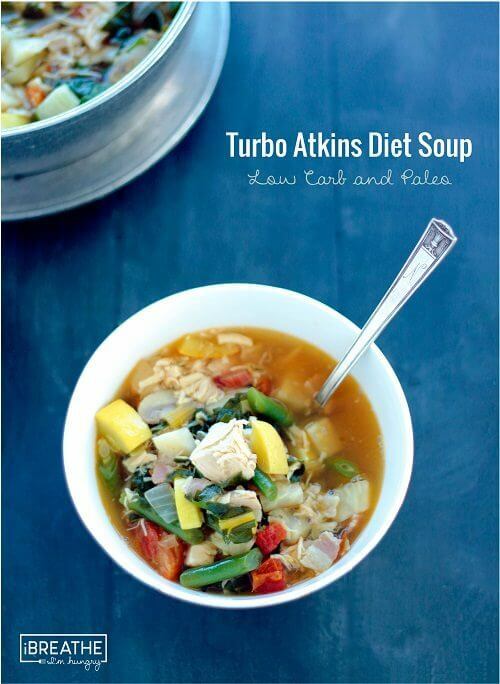 Featured in Woman’s World magazine, this delicious low carb soup is loaded with veggies and healthy proteins! 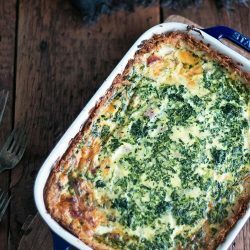 Whether your on Atkins, Paleo, or even the Whole 30 this month, it’s an easy and delicious recipe to keep you full all week! 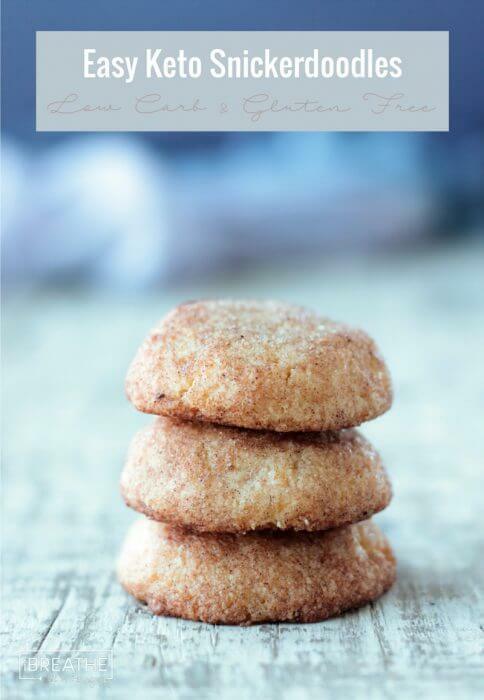 This low carb snickerdoodle recipe has only been up for a month, but you guys went crazy for it! And for good reason – these cookies are legit and incredibly easy to make! 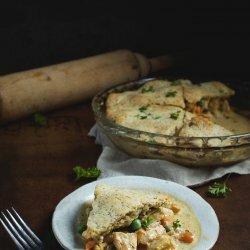 Who doesn’t love a good throwback recipe? 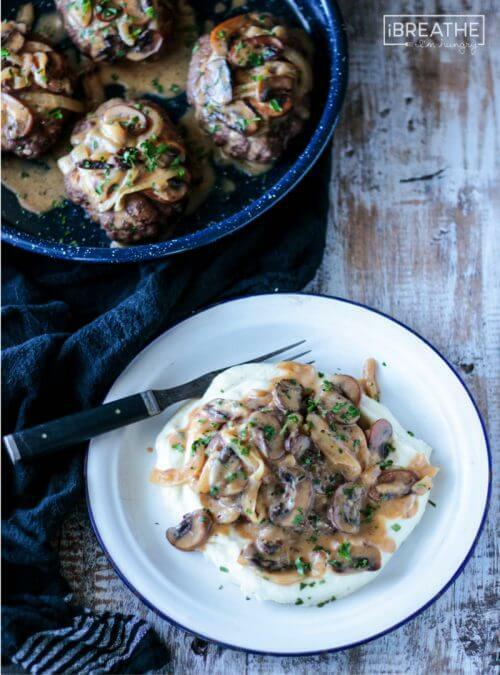 These low carb salisbury steaks reminded me (and apparently you guys too) of fun times with TV dinners when we were kids. I will say that my recipe is not only healthier – it tastes better too! Cheesecake is the perfect low carb dessert amirite?!? 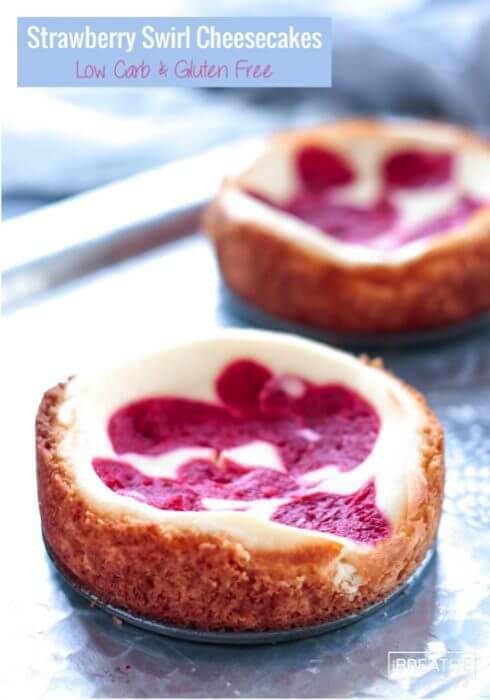 These mini strawberry swirl cheesecakes not only taste great, they have a fantastic creamy texture that is to die for – and the coconut cookie crust really takes them over the top! I’ve got lots of great stuff coming up for 2017 – a blog redesign, videos, and tons more delicious low carb recipes in the works! Stay tuned and let’s make 2017 awesome together! I got an Instant Pot for Xmas and I’d love to have some more of your creative imaginative and delicious recipes using this appliance! I made the Turbo Soup last weekend and it was excellent!! I followed the recipe with 2 exceptions – no summer squash here so used petty pan squash and I confess, I am not a fan of swiss chard so used bok choy. What I love most about the recipe is that once you settle on what parts are essential to the flavour profile for you (for me, the bacon, sundried tomatoes, celery root for heft, acid and fresh herbs at the end), the possibilities really are endless and you’ll be able to make countless variations and never tire of the soup! No chard, no problem – bok choy was excellent and I can’t wait to get some black kale – I think it would be fabulous. 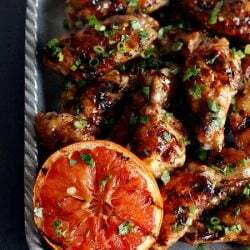 You can mix up the proteins or the acid – apple cider vinegar, fresh lemon or lime juice or even rice vinegar (especially if you use nappa cabbage, mmm) and even switch up the fresh herbs – parsley, tarragon or dill would be excellent. 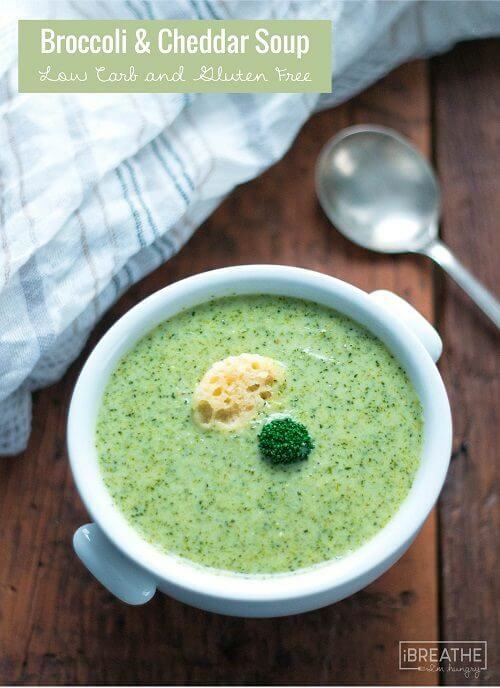 Thanks so much for such a wonderful formula for soup! I look forward to this list every year. THANKS!! Happy New Year! I’m amazed that I’ve made all but two of these recipes and every one of them was delicious! Thank you, Mellissa! I think I have really fouled up on my repeated attempts to access the forums. Seems I didn’t do something right and now it rejected me saying I have submitted too many attempts. Same for your hisband’s blog and I only tried there for the first time today. Please advise. I definitely want to follow the low carb site. 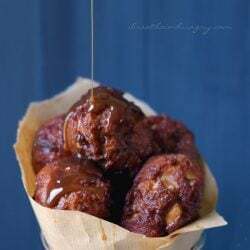 How refreshing to finally see a Keto/Low Carb best of the year list of recipes that was not dominated by deserts!!! Lovely compilation of mouthwatering recipes that cover every aspect of eating. Thanks for sharing!! Thanks Laurie – hope you enjoy them! Can I just say I’m hoping for more Instant Pot recipes in 2017? I got one on black Friday and I’ve already made all your IP recipes in it. Those pork ribs… heaven help us, they were good! Keep up the good work Mellissa! You are my go-to website for low carb. I don’t think I’ve made s single one of your recipes I didn’t love!